View all 9 products in this collection. View all 8 products in this collection. 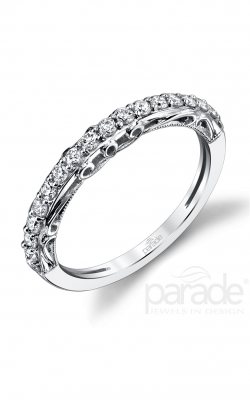 Meticulously built using only the very finest materials, Parade wedding bands are uniquely designed examples of bridal jewelry design superiority. On display today at Medawar Jewelers, the wedding bands of Parade feature exquisite milgrain embellishments, carefully placed diamonds, and a stunning variety of vintage and modern pieces made with enchanting 18-karat rose gold, white gold, yellow gold, and platinum. 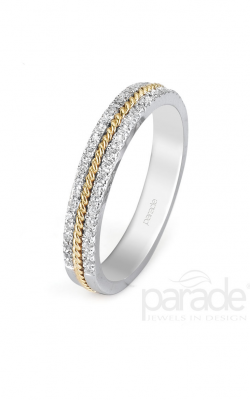 Founded on the philosophy of creating "timeless jewelry of the highest quality," the Parade wedding bands available at Medawar Jewelers are bold and enchanting ways to fabulously celebrate your eternal and everlasting love. With five showrooms located in West Lansing, Okemos, Jackson, Portage, and Brighton, Medawar Jewelers is an authorized retailer of an array of award-winning jewelry designers and are thrilled to present the diamond-covered women's wedding bands of Parade to their Michigan customers. 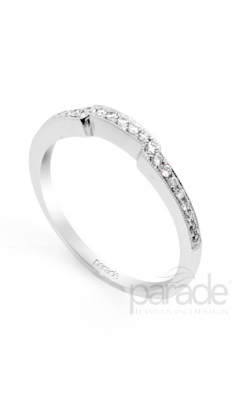 100% genuine, the Parade wedding bands available now at Medawar Jewelers are chosen for their beauty and brilliance, as well as are covered by the comprehensive Medawar Lifetime Promise quality guarantee. 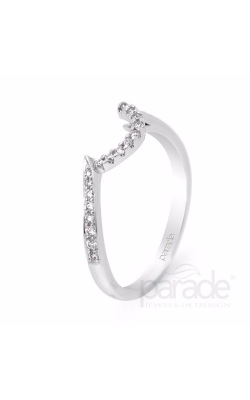 Firstly, from Parade's flagship Hemera collection come modern and elegant wedding bands that feature many unique stylings and one-of-a-kind detailing. Additionally, comprising the Parade Lyria, Charities, and Classic wedding band lines is a stunning array of timepieces pieces perfect for vintage-obsessed brides-to-be. Finally, for a wedding band of extraordinary brilliance and shine, look no further than the truly immaculate diamond pieces of Parade's exclusive Hera and Speira collections. 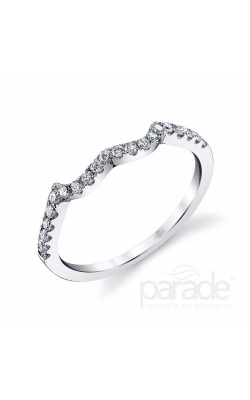 With such an amazing selection, finding the perfect Parade women's wedding band is simple and stress-free at Medawar Jewelers. Why Shop with Medawar Jewelers? With over 90 years of fine jewelry experience, the family-owned and operated Medawar Jewelers has been Michigan's go-to destination for a variety of jewelry-related services. With five locations throughout Michigan, Medawar Jewelers is proud to offer a large selection of engagement rings, loose diamonds, fashion jewelry, and Swiss-made timepieces. 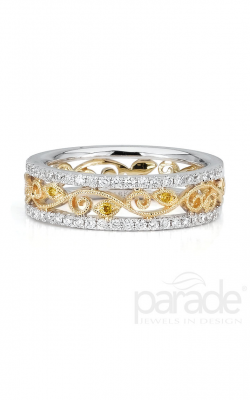 Much more than just the vintage-inspired wedding bands of Parade, Medawar Jewelers also offers items from designers including Kirk Kara, CrownRing, Verragio, Pandora, A. Jaffe, and many, many others. In addition to this unbeatable selection, the friendly and knowledgeable staff at Medawar Jewelers also extends comprehensive services that include on-site jewelry repair, custom design, gold buying services, and 30-day risk-free shopping.